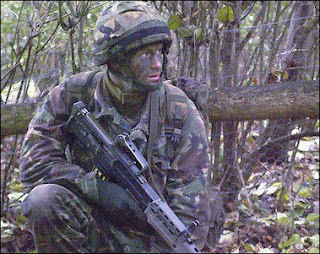 Harry, once dubbed a royal wild child, graduated as an army officer in April before joining a regiment that could be deployed to Iraq or Afghanistan. Prince Harry’s girlfriend Chelsy Davy leaked to the press that the young prince may be heading to Iraq in the spring with his unit. Her remark is the strongest hint yet that the 22-year-old Royal WILL see action in Iraq. Chelsy, 21, hopes her trip will keep her mind off her fears while cavalryman Harry joins comrades for a dangerous tour of duty. Officially, the Ministry of Defence insists that a final decision about whether second lieutenant Harry will be allowed to fight in Iraq has yet to be made. The Prince has always said he is determined to do battle with his 100-strong unit, A Squadron of the Blues and Royals — part of the Household Cavalry. They begin a six-month tour of Iraq in the spring. And before that, they are expected to take part in war games and exhaustive preparations for conflict. The decision over the young Royal is deemed so important it will be made by the Army’s top man, Chief of the General Staff General Sir Richard Dannatt. But a bandwagon of popular support is growing among the ranks to allow Harry to fulfil his dream of active service. Despite alarm over the possibility of putting the Prince’s life in danger, top brass will find that hard to refuse. And during the Falklands War, Harry’s uncle Prince Andrew was allowed to fly perilous missions in his Sea King helicopter.